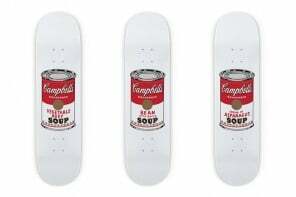 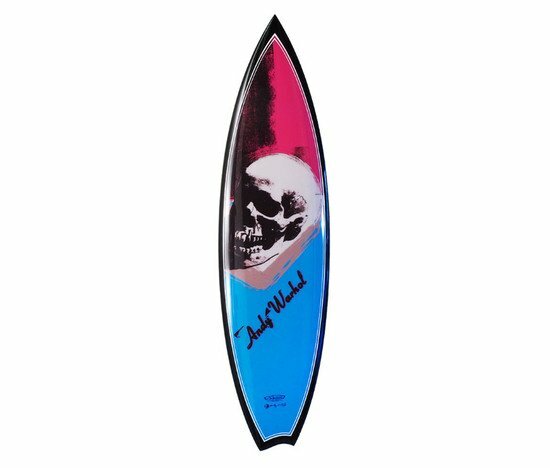 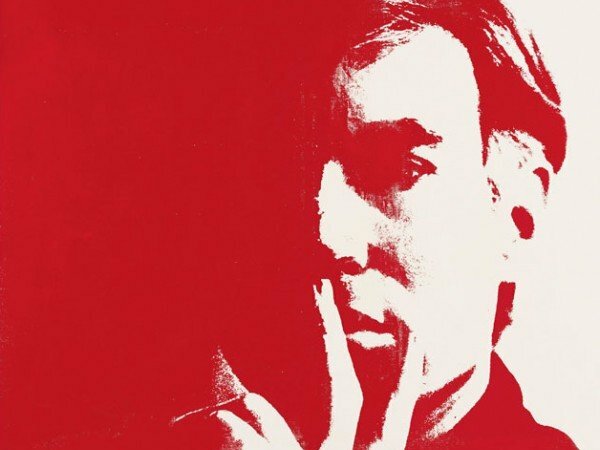 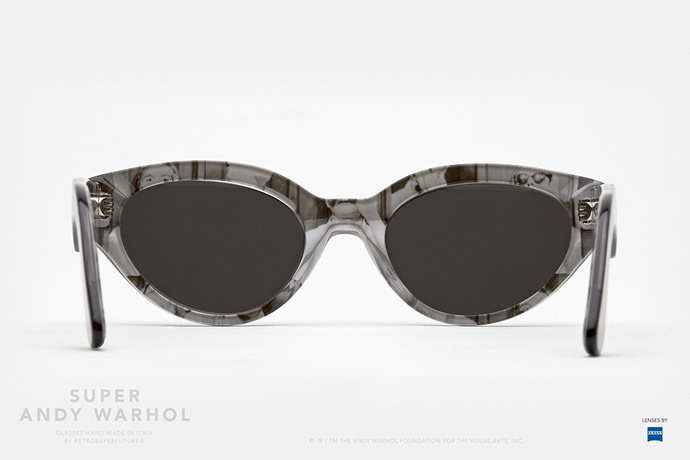 From baby strollers, bottles, soup cans, surfboards to watches; more than twenty seven years after his death, Andy Warhol remains one of the most influential figures in contemporary art and culture. 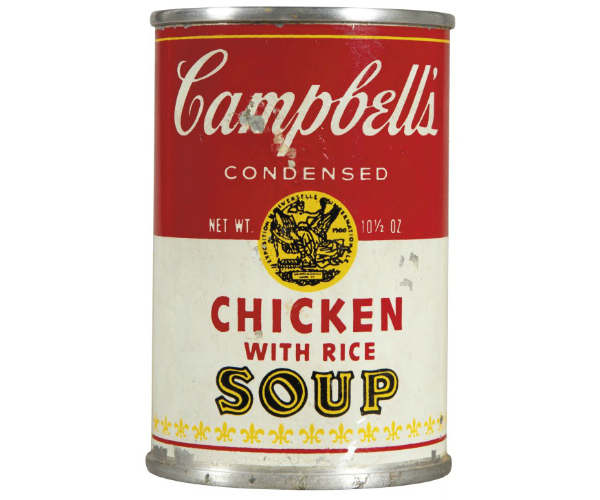 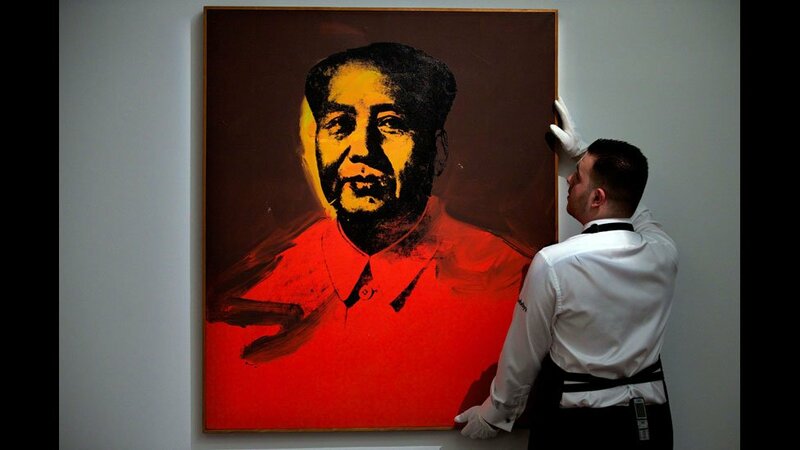 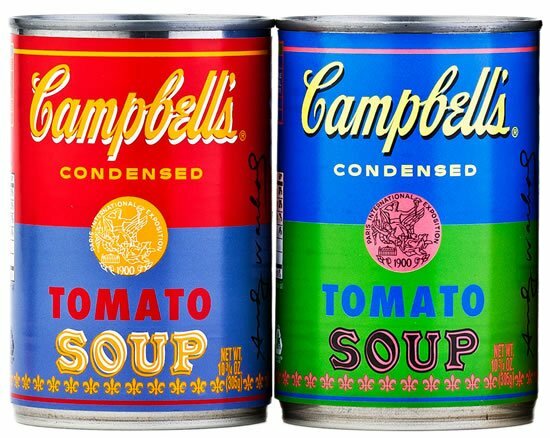 Even today Warhol’s ability to present the familiar from unusual perspectives and sense of design continues to reflect in the contemporary visual and consumer culture. 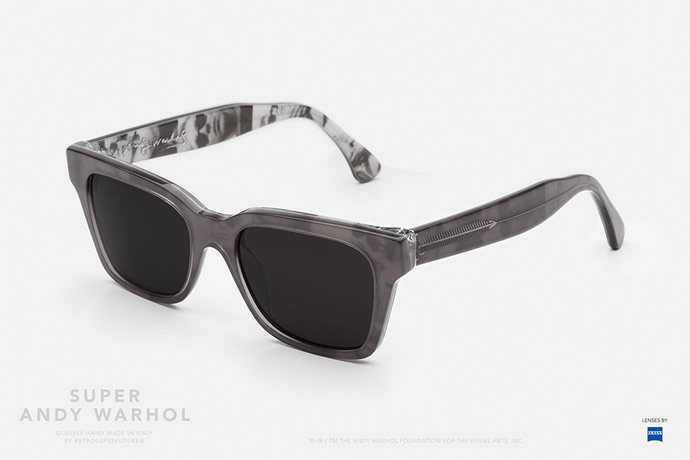 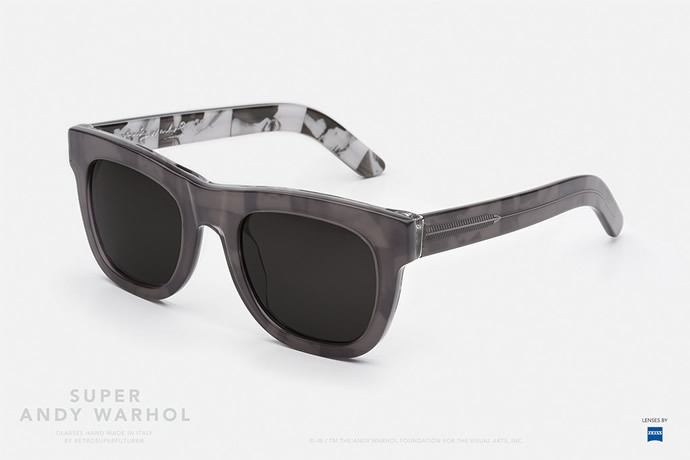 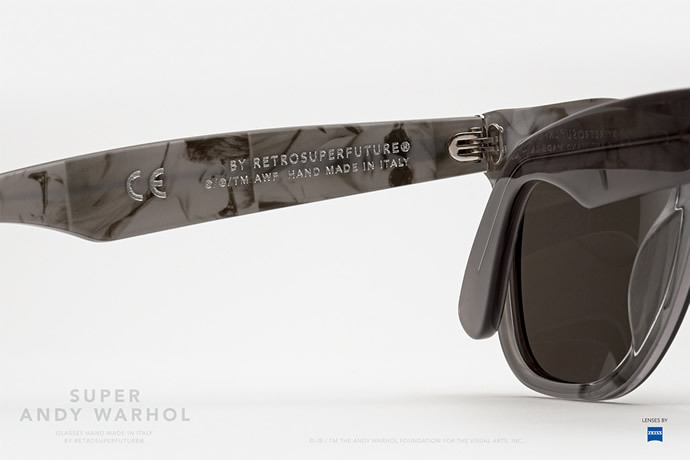 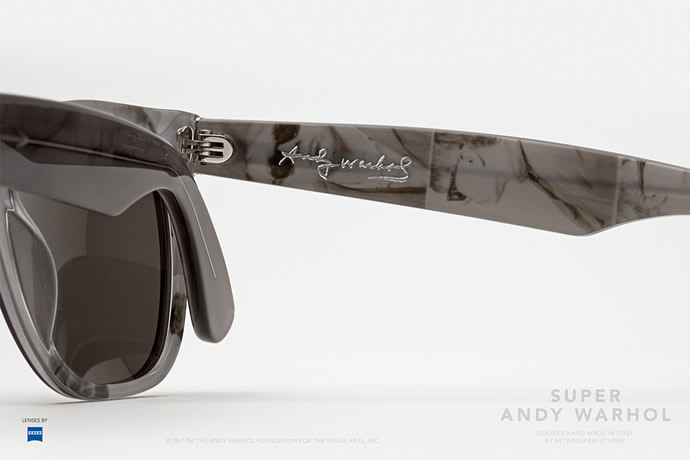 The Andy Warhol Foundation for the Visual Arts has now teamed up with Italian eyewear specialists RETROSUPERFUTURE for an artsy eyewear capsule collection. 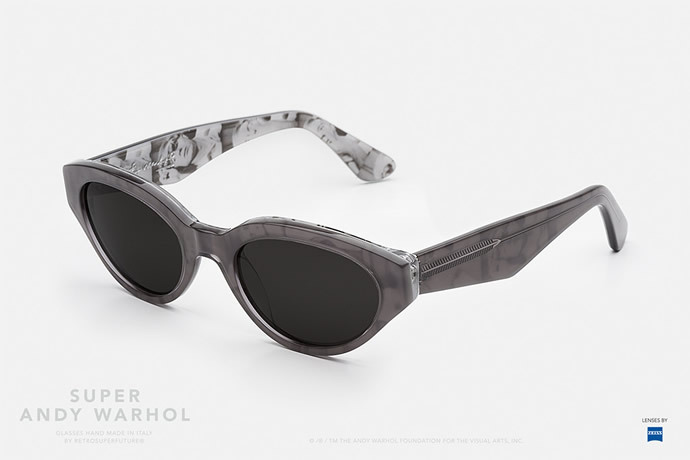 The collection is comprised of four distinctive silhouettes etched with photo collages from Andy Warhol’s Photo Booth Self-Portrait series. 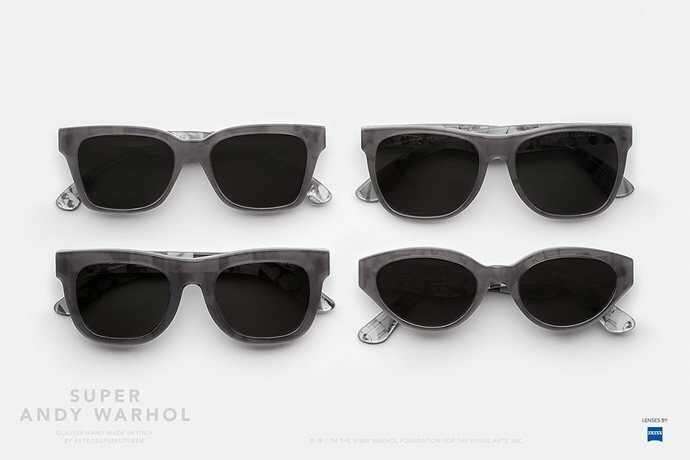 All different styles: America, Ciccio, Classic and Drew have translucent grey frames and bear Warhol’s signature on the inside. 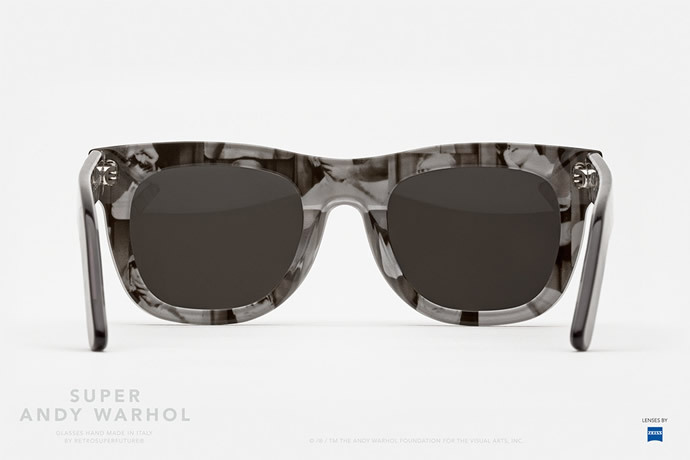 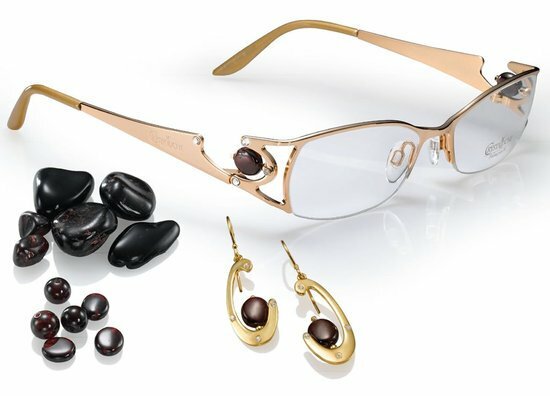 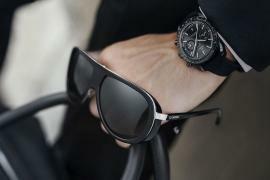 Each pair of sunglasses is available for €179 ($245 approx) and comes inside a matching limited edition box.